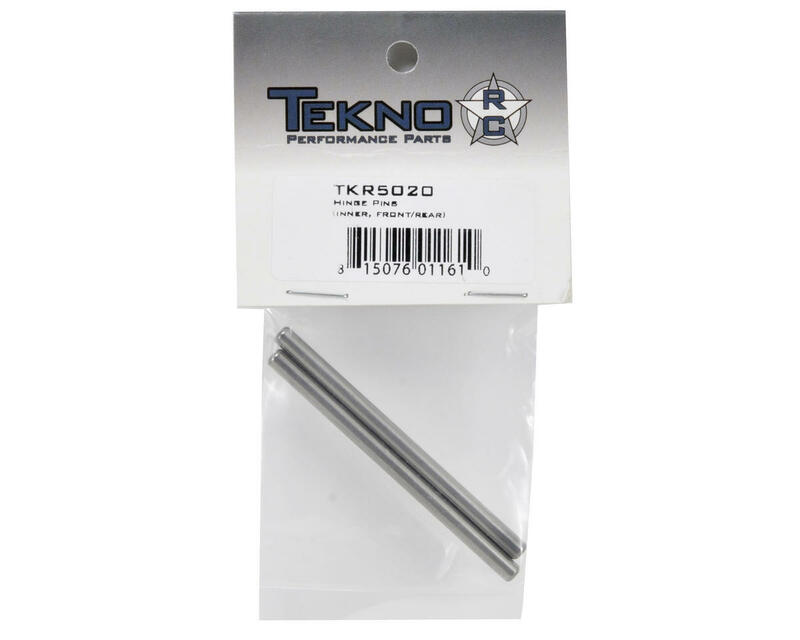 This is a replacement Tekno RC Inner Hinge Pin Set, and is intended for use with the Tekno R/C EB48 electric 1/8 buggy. 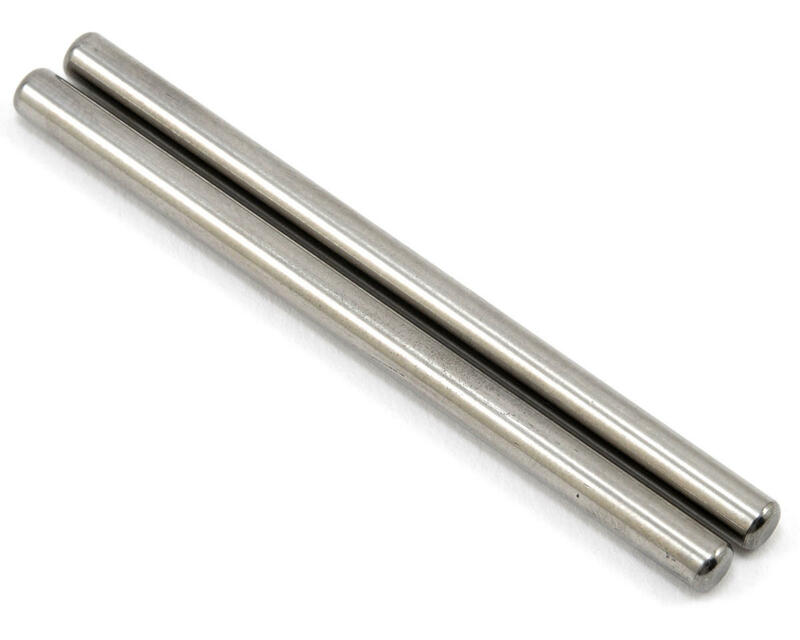 This package includes two inner hinge pins that can be used in both the front and rear position. Keep an extra set of these around since they will bend after repeated landings from big air. I appreciate the fact that Tekno uses the same part for front or rear. 14 months of hard racing and this was the first part to fail on my buggy, broke it in half with a hard wreck into the pipe. Did not break the a arm but the hinge pin hole is elongated. Can't complain really, toughness is what tekno is all about. Every other kit I have ever owned has not lived up to the abuse like my tekno.